Area rugs require special attention and expertise depending on the fiber content and manufacturing process of your rug. They generally need a gentle, but effective approach in order to clean but not damage the delicate fibers. It may be tempting to just vacuum or spot clean your rug yourself, but that plan could backfire. It’s possible to damage the rug by scrubbing too hard or by using the wrong cleaning solution. Area rugs are often too special–and too costly–to take that risk. We’ll inspect your area rugs to look for and record stains, burns, bleach marks, color bleeding, and fading. We also look for any damages in the fibers or bald spots. We’ll test our products on a small area of your rug to ensure our professional cleaning services will be able to help eradicate the soil and stains embedded in your rug. We’ll do spot treatment for spots and stains to remove those first before doing a complete overhaul cleaning of the whole rug. We pre-apply our special cleaning shampoo formula to loosen in-ground soil and then use clear hot water to rinse it out. Residual stains are always post-treated. We groom your carpet and dry it efficiently for uniform appearance. We’ll then perform a final inspection with you to ensure your 100% satisfaction. We know every area rug is different and must be cared for according to that rug’s specifications. 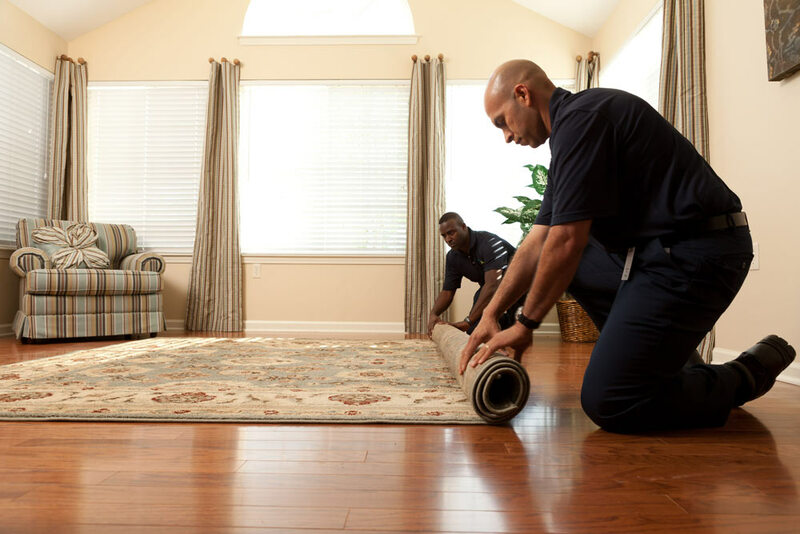 From expensive heirlooms or oriental rugs to simple door blockers, we have the training and equipment needed to bring life back into your rug. Trust the experts at ServiceMaster Cleaning & Restoration Services to deliver timely, exceptional service with the best results. Say goodbye to stains, spots, and soil embedded in your precious area rugs and say hello to bright color and soft fibers, courtesy of ServiceMaster Cleaning & Restoration Services in Somerset County, New Jersey.